Changzhou Peide Water Treatment Equipment Co., Ltd.
Common problems of cooling water system 1.Corrosion Cooling water systems are an ideal environment for the reversion of the metal to the original oxide state. The problem of the system mainly lies in the dissolved oxygen corrosion because of the microcell formed by the carbon steel in the water. The secondary refrigerant at one side of the refrigeration host of the ice storage air conditioning system is ethylene glycol solution for most occasions. 2.Pure water treatment plant system with price for pharmaceutical mainly uses the osmosis principle if semi-transparent membrane. Technical characteristics 1. Pure water treatment plant system with price for pharmaceutical Modularity design, compact structure. 2. 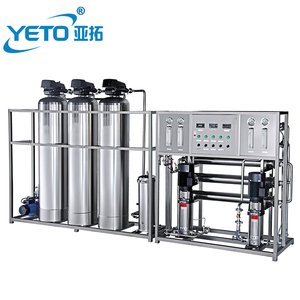 System can choose thermal disinfection RO membrane and thermal disinfection EDI; the whole system can realize on-line hot water disinfection. 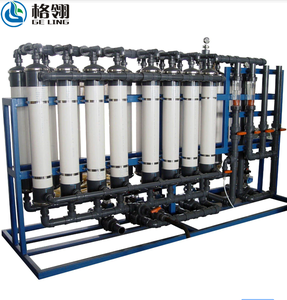 ,LIMITED QQ: 39305338 Wechat: jeanwong5 Skype: jeanwong5 Tel:+86 29 89390868 Mob:+86 13319251696 -------------------------------------------------------------- * Introduction RO (Reverse Osmosis, RO), the basic working principle is: using of a special high pressure pump, increasing 6-20 kg pressure to raw water, then force raw water penetrating through 0.0001 micro reverse osmosis membrane under the pressure. Only water molecules and solvent less than 0.0001 microns can pass through the RO membrane. * RO System Operating Parameters 1. Operating Pressure: &lt; 300 psig 2. Maximum Recovery: 60% - 75% 3. Nominal Rejection: 95-99% 4. Operating Temperature: 2-35 &ordm;C 5. Minimum Inlet Pressure: 30 psig 6. Design Temperature: 25 &ordm;C * Treatment process Raw water----booster pump---quartz sand filter---activated carbon filter---water softener (optional)---security filter----high pressure pump---RO system---Uv system (optional) --- pure water tank (optional) * Products Photo APS 0.5m&sup3;/Hour RO water desalination plant APS 5m&sup3;/Hour RO water desalination plant APS 8m&sup3;/Hour RO water desalination plant (with RO membrane cleansing) APS 1m&sup3;/Hour RO water desalination plant APS 30m&sup3;/Hour RO water desalination plant APS 10m&sup3;/Hour RO water desalination plant APS 25m&sup3;/Hour RO water desalination plant * Applications Industry Application Electronic industrial Cleaning water of electronic components (Integrated circuits, silicon chips, display tube, electrode foil pharmaceutical industry Transfusion, injections, tablets, biochemical products, equipment cleaning, etc. 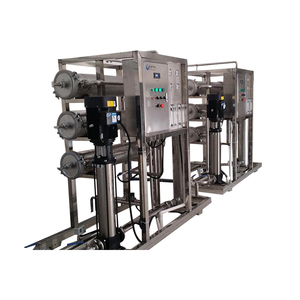 It is the most common treatment technology used by premium bottled water Reverse osmosis refers to the process of forcing water through a semi-permeable membrane under pressure. 3. Can Reverse Osmosis be used on Bore water or water from other untreated sources (lake or river)9 Yes, RO is generally an excellent choice for homeowners with bore water. 4. How often does the reverse osmosis membrane need to be replaced9 With proper maintenance of your sediment and activated carbon pre-filters, your reverse osmosis membrane should last 2-3 years. Besides ,we are manufacturing tap water and mineral water equipments. Professional production of waste water treatment equipment. C. Finally, we'll replace the product for you if it has quality problems. Can production water continuously and highly automatic 2). No need the chemical regeneration,easy operation 3). Low operation Cost and Long life span 9). 2.3 Outlet water pipelines: From pure water tank to the pure water using point. 2.4 Concentrated Water Treatment: Discharge to the wastewater pool (user considered). 2.5 Water temperature: 5-35C 3. Process: Water Source - Raw Water Tank - Booster Pump - Sand Filter - | R.O. The machine is integrated into a group, the assembly and transportation are rather convenient. The stucture of the machine is reasonable, its shape is elegant and beautiful appearance. The standard of supplied water: Electricity conduction rate: No more than 10us/cm, bacteria no. Carbon Block Filter:Removes chlorine, bad taste and odor, organic solvents and organic chemicals that contribute to bad taste and odor. Reverse Osmosis Membrane:Removes and filters particles as small as 1/10,000 of a micron and most inorganic chemicals (such as salts, metals, minerals). Also most microorganisms including cryptosporidium and giardia, and many other inorganic contaminants. As the tank fills, the air pressure increases and pushes the water out when the faucet is opened. The size of the membrane will determine the amount of water that the R.O. Another is a gradual deterioration in the quality of water being produced. 2, to achieve scale inhibitor, corrosion inhibitor, fungicide and other agents of automatic dosing and automatic sewage and other functions. 4, wireless remote transmission and real-time state monitoring of all online parameters and equipment running status can be realized. 5, online famous instruments, metering pumps and pipe valves and other selected international famous brand products to ensure long-term and stable operation of the system. Jiangmen A-Z Machinery Co., Ltd. When it is used in water treatment equipment, it can remove most ions,fine particles, bacteria and organic impuritiesof water. Water enters into concentrated solution and liquid permeability ratio by regulating valve. 03. A high degree of automation, when there is a fault it will stop immediately ,with strong ability of automatic protection . Zhangjiagang Cofine Machinery Co., Ltd.
Alibaba.com offers 78,626 water treatment system products. About 58% of these are water treatment, 5% are water filters, and 1% are other metal & metallurgy machinery. A wide variety of water treatment system options are available to you, such as free samples, paid samples. There are 77,477 water treatment system suppliers, mainly located in Asia. The top supplying countries are China (Mainland), India, and Taiwan, which supply 98%, 1%, and 1% of water treatment system respectively. 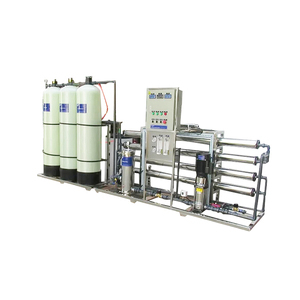 Water treatment system products are most popular in Domestic Market, Mid East, and Africa. You can ensure product safety by selecting from certified suppliers, including 32,020 with ISO9001, 11,763 with Other, and 7,916 with ISO13485 certification.